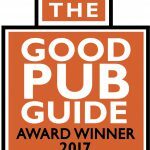 We are so proud to be one of the Top Ten Pubs in the UK. As well as keeping the County Dining Pub of the year for the sixth time in a row. 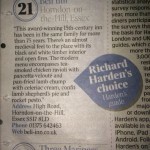 If you want to read a bit more check out what The Evening Standard had to say or The Good Pub Guide. Want to eat in one of the ‘Top 25 Country Pubs for Food’ in the country? Better come to The Bell! The Times is definitely our favourite paper having featured us in their prestigious list. Even better, we were one of only 3 pubs to receive a ‘critics choice’ (and the list is not in any order). 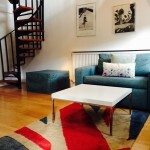 Click here to see our entry! The Bell features proudly this month in no lesser publication than “Britain – the official magazine.” Click here to read the article. Lovefood.com wanted to know ‘what is an inn and why are they enjoying a resurgence?’ So they asked us… and a few of the other members of the Great Inns of Britain. To see the article we appear in just click here. Bell wins Good Pub Guide’s ‘County Dining Pub 2015’ award. 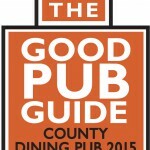 The Bell has been named The Good Pub Guide ‘County Dining Pub 2015’. This is the 4th year on the trot we have won the prestigious award. To our knowledge only 10 other pubs in the country have ever won it 4 times in a row. 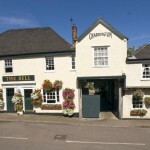 Everyone at The Bell is delighted – well done to Stuart and his team in the kitchen… richly deserved. mini makeover, and the Stable gets a refresh too.